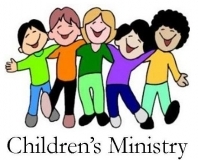 Welcome to Bonney Lake Nazarene Children’s Ministries. Sunday morning we have Children’s Church during the service. An age appropriate Bible lesson is shared, worship music, games and activities are all provided to help children learn about God. Most importantly, they learn how to apply the Biblical concepts they learn to their daily lives. Wednesday evenings we have classes for kids of all ages. We are currently teaching them about the New Testament – an age appropriate Bible Study.